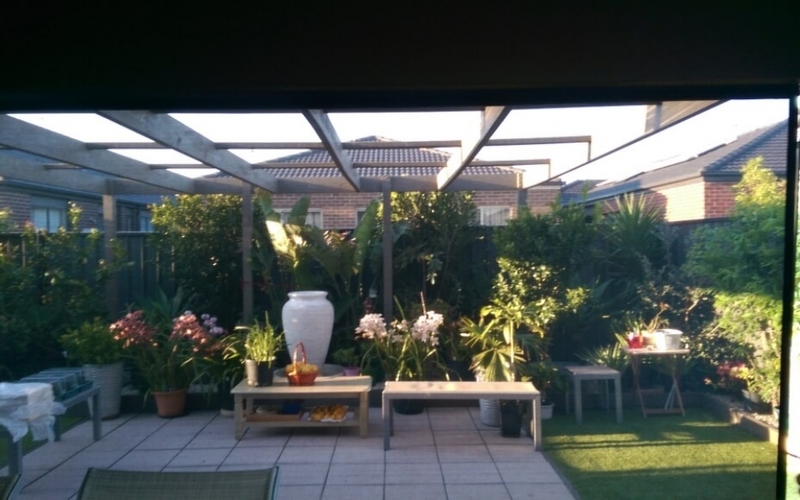 Cafe blinds are an economical and sturdy way of protecting outdoor areas from Melbourne's weather. 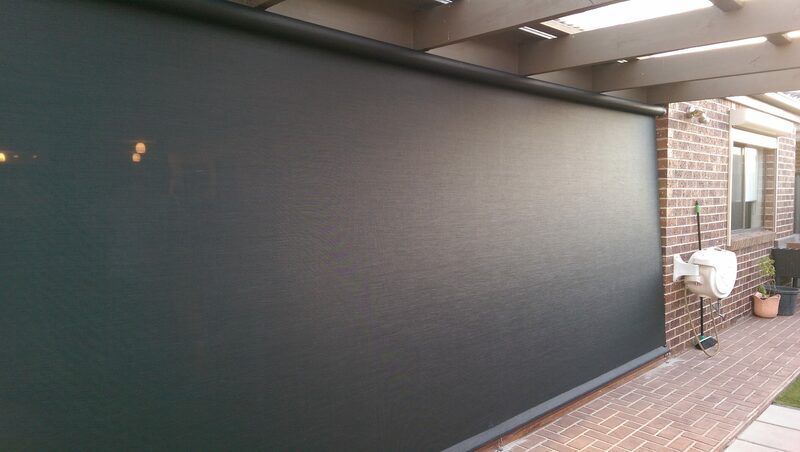 They are stronger than other outdoor blind systems because they operate via a gear system. 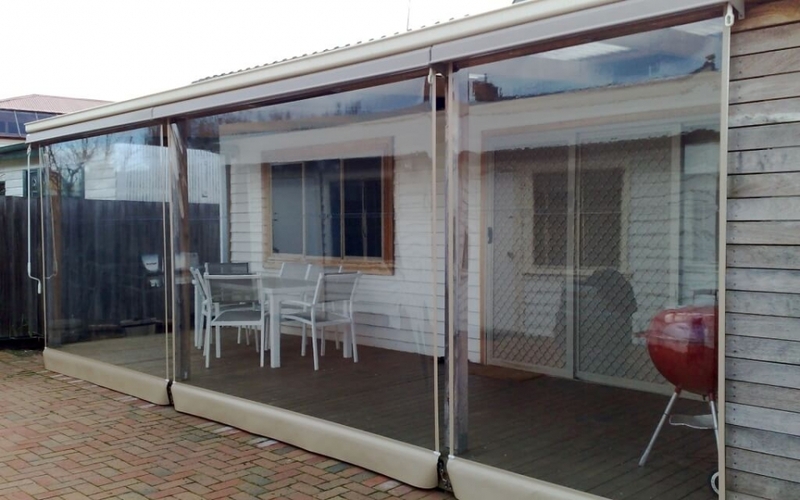 When the cafe blind is secured to the ground, the winder can be used to make the cafe blind very taut making it more resistant to wind and the elements. 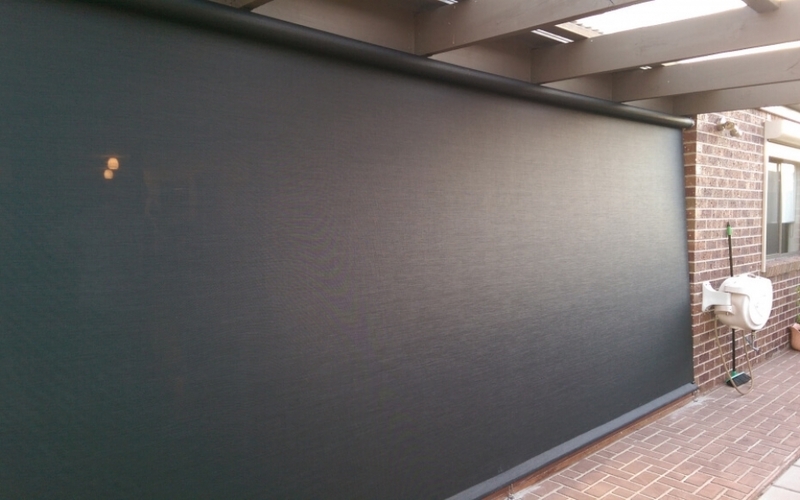 Our stylish and modern cafe blinds have allowed countless Melbourne diners to enjoy a drink and a meal in comfort. 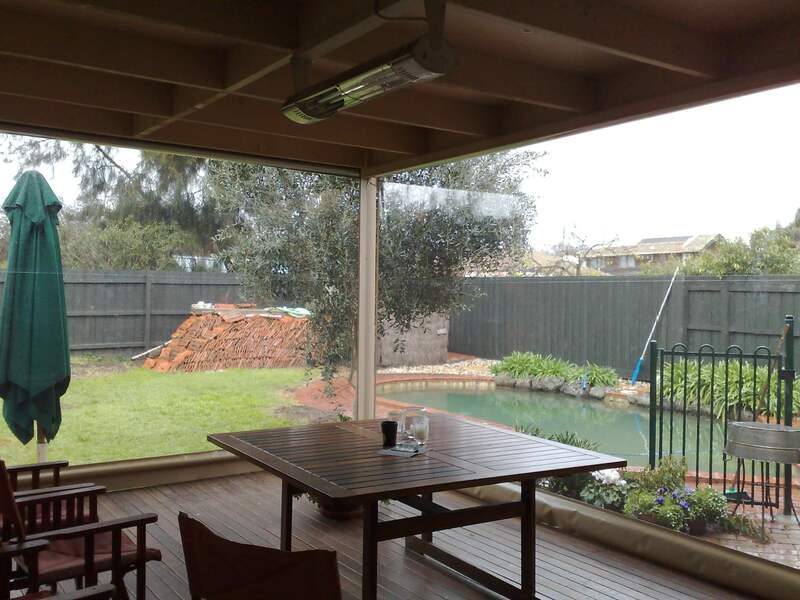 Where a retractable outdoor blind is required for weather protection and it doesn’t need posts for fixing. 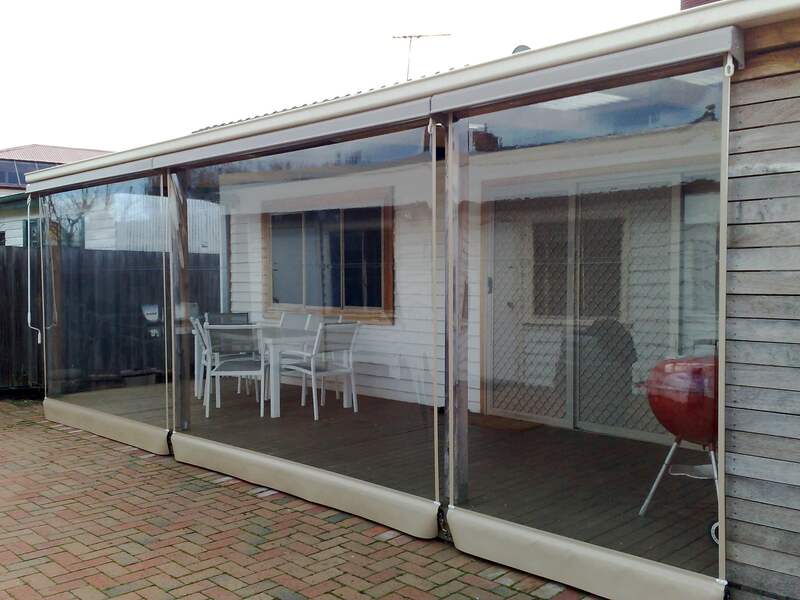 Ideally suited to outdoor entertaining areas and verandahs like in cafes, restaurants and residential homes. Cafe blinds are operated via a gearbox and detachable crank handle. As you wind the crank handle the blinds goes up or down. 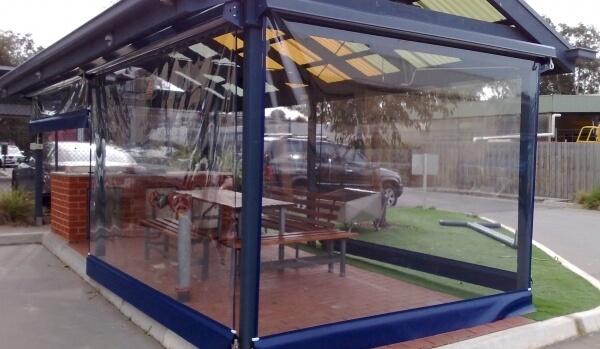 Fixing hooks or collapsible ones (for foot traffic areas) are attached to the ground or other structures and the blind is secured to these via stainless steel snap hooks or nylon buckle straps. 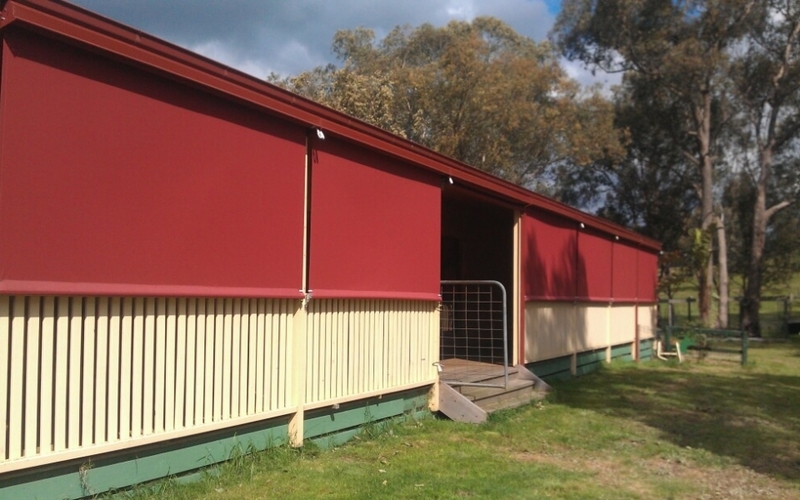 Once secured, the blind can be wound back and made taut making it very sturdy. 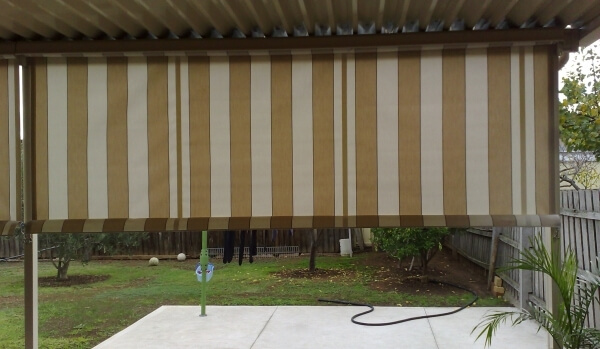 They can be made to over 4.5 metres wide with drops to 3.0 metres. 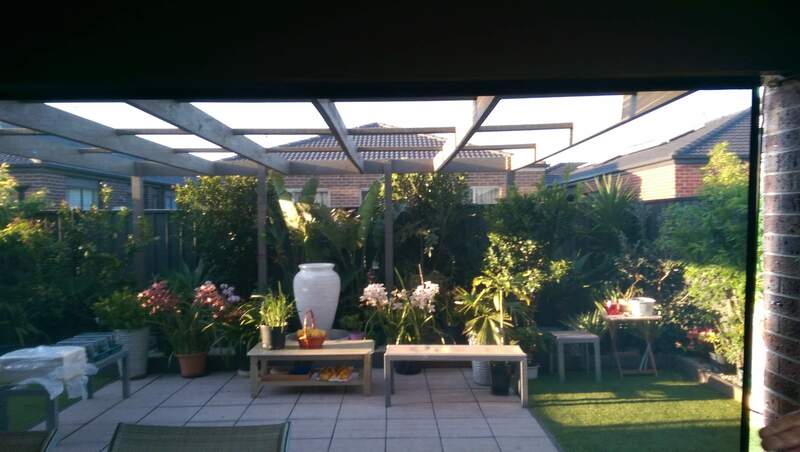 On larger cafe blinds, we also recommend having a centre securing hook to make it sturdier. 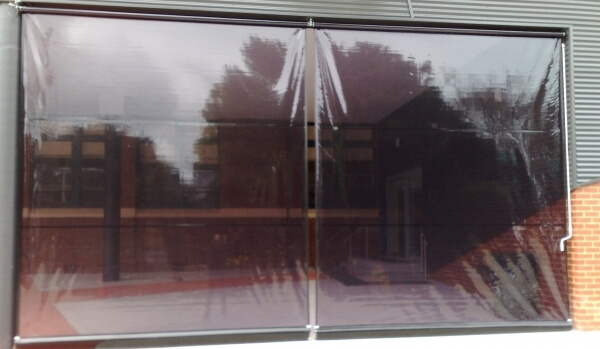 The Cafe Blinds use the same gear boxes as found on our retractable awnings, which are made to be strong and weather proof. We also use heavy duty galvanised rollers and components including stainless steel fittings. 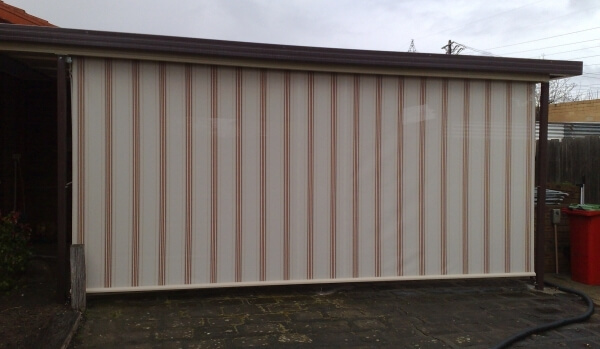 We only use high quality Japanese PVC as well as the American made Vistaweave and Australian Canvas brands. 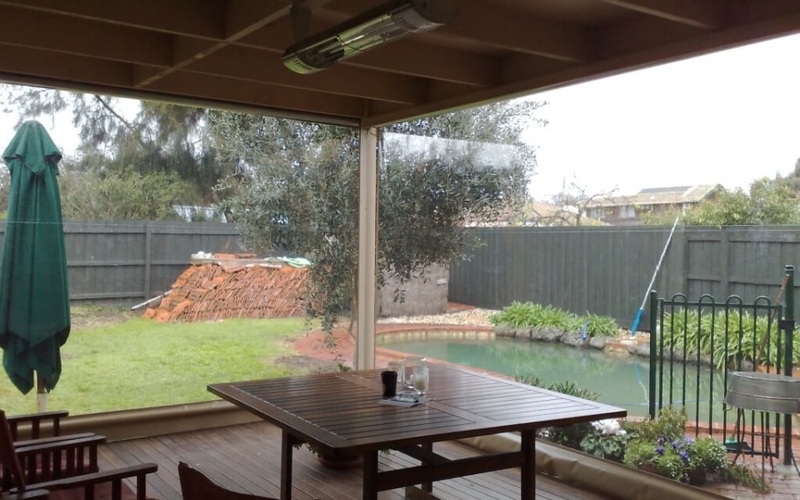 All our cafe Blinds Melbourne range are backed with a 5-year warranty. 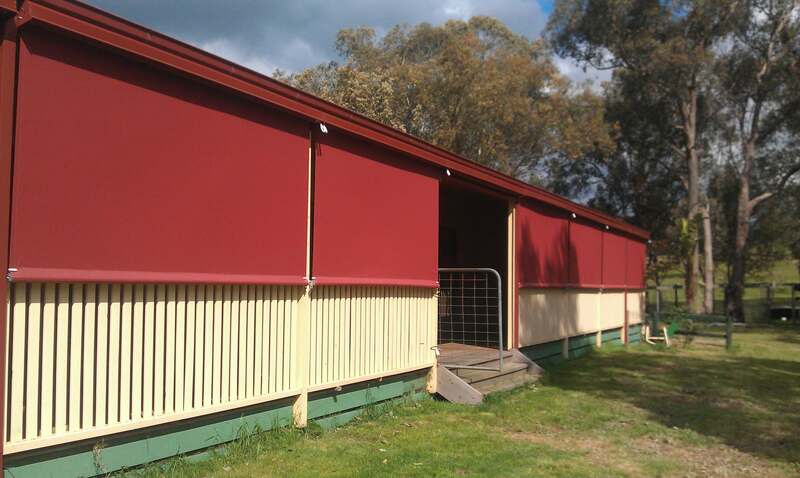 Cafe blinds can be supplied with heavy duty fixing brackets or colorbond hoods. 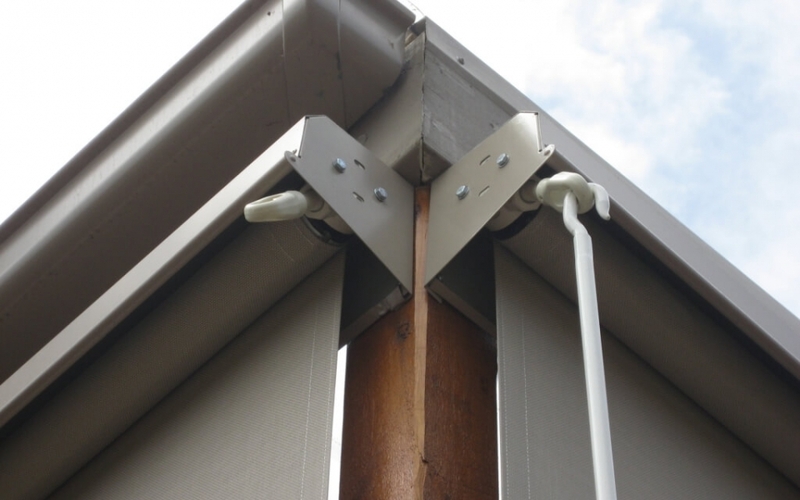 Securing options include fixed or collapsible hooks, securing straps or snap hooks. There’s a large selection of leading fabrics and colours to choose from.